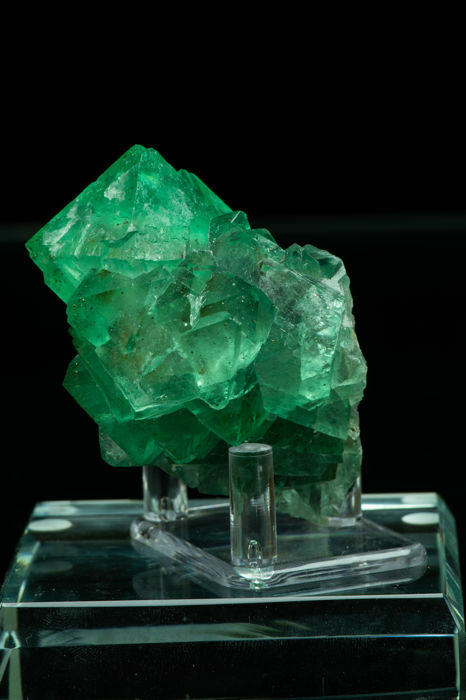 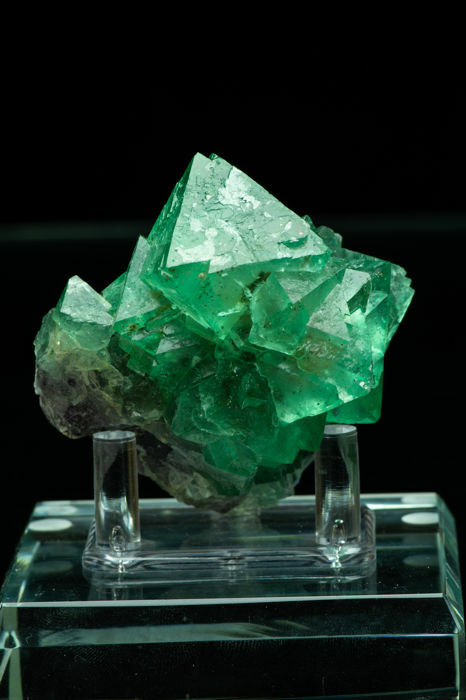 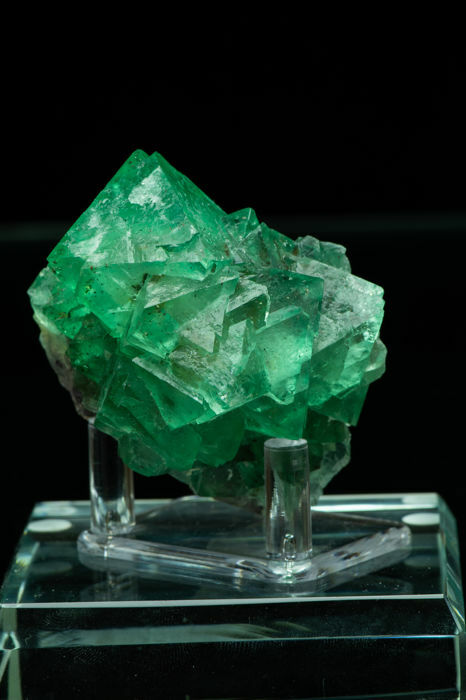 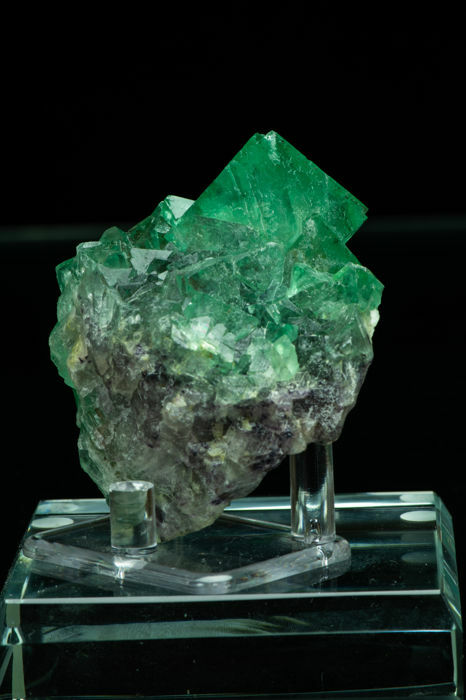 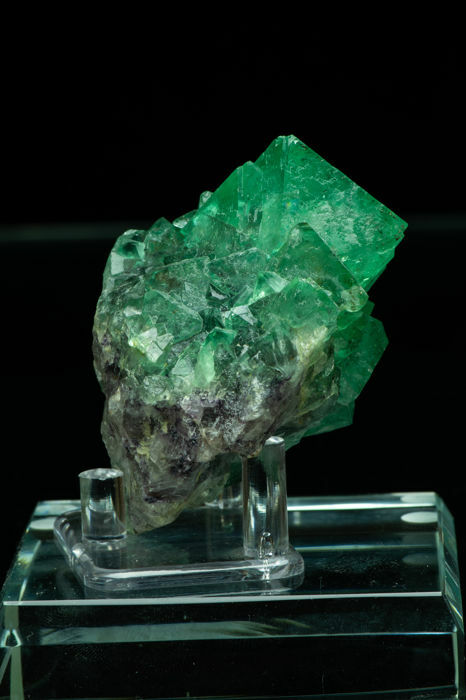 A tantalising attractive and well formed cluster of emerald green octahderal Fluorite crystals. 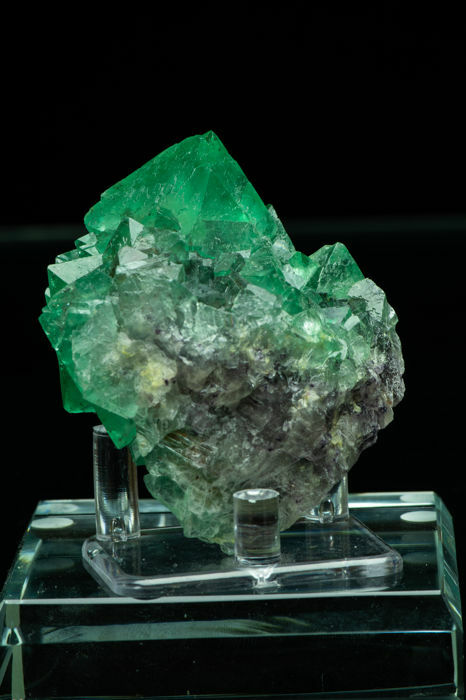 Good and strong saturation, well distributed cluster with a great luster, this piece comes from the famous classic locality for such strongly saturated green fluorite octahedrals. 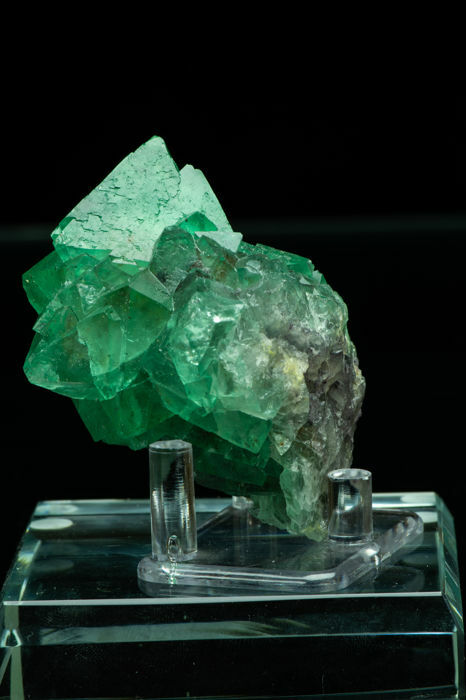 This piece was extracted in September 2016.